In Chasing the Sun, the international music icon and humanitarian shares the incredible story of his life and how music and faith guided his path. In his own un-adulterated words, and with visually arresting images throughout—some of them never before seen—Juanes imparts his defining moments from childhood to present day, reflecting on his spiritual and musical journey and the personal and professional experiences that shaped the man he is today. Born and raised in Colombia, Juanes developed his deep love of music from his family and learned to play guitar at an early age. By age sixteen, he became a founding member, lead guitarist, vocalist, and song-writer for Ekhymosis, which went on to become Colombia’s leading hard-rock band. However, it was his career as a solo artist that propelled him toward international superstardom. With great honesty, Juanes reveals how his times of glory were often intersected by times of doubt and soul-searching and how remaining true to his beliefs and passionate about his art gave him the strength and foresight to reinvent himself and his career. While his role as a recording artist is well documented, the very private Juanes has never opened up in his own words—until now. Juanes is a Colombian musician who has sold more than fifteen million albums worldwide. He has won multiple Latin Grammy Awards and one Grammy Award. Juanes received the BMI President’s Award at the 2010 BMI Latin Awards. He is also known for his humanitarian work, especially with aid for Colombian victims of antipersonnel mines. 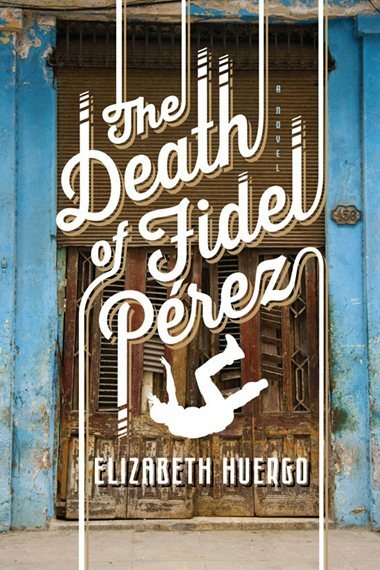 Here's your exclusive chance to win a copy of The Death of Fidel Perez by Elizabeth Huergo, courtesy of Unbridled Books. Enter below! May the odds be ever in your favor. On July 26, 2003, the 50th anniversary of the Moncada Army Barracks raid that sparked the Cuban revolution, something unexpected happens. When Fidel Pérez and his brother accidentally tumble to their deaths from their Havana balcony, the neighbors' outcry, "Fidel has fallen!" is misinterpreted by those who hear it. That wishful mistake quickly ripples outward on the running cries of the people, and it gloriously reawakens a suppressed city. Three Habaneros in particular are affected by the news: an elderly street visionary named Saturnina, the remorseful Professor Pedro Valle, and his impressionable firebrand of a student, Camilo. All three are haunted by the past and now, once again, are made to confront a new future, perhaps another revolution. Their stories--so real, distressing and insuppressible--are beautifully braided into new hope as they converge in the frantic crowd that gathers in La Plaza de la Revolución. Elizabeth Huergo was born in Havana and immigrated to the United States at an early age as a political refugee. A published poet and story writer, she lives in Virginia. The Death of Fidel Perez is her first novel. In this luminous memoir, Rita Moreno shares her remarkable journey from a young girl with simple beginnings in Puerto Rico to Hollywood legend—and one of the few performers, and the only Hispanic, to win an Oscar, Grammy, Tony and two Emmys. Born Rosita Dolores Alverio in the idyll of Puerto Rico, Moreno, at age five, embarked on a harrowing sea voyage with her mother and wound up in the harsh barrios of the Bronx, where she discovered dancing, singing, and acting as ways to escape a tumultuous childhood. Making her Broadway debut by age thirteen—and moving on to Hollywood in its Golden Age just a few years later—she worked alongside such stars as Gary Cooper, Yul Brynner, and Ann Miller. When discovered by Louis B. Mayer of MGM, the wizard himself declared: “She looks like a Spanish Elizabeth Taylor.” Cast by Gene Kelly as Zelda Zanders in Singin’ in the Rain and then on to her Oscar-winning performance in West Side Story, she catapulted to fame—yet found herself repeatedly typecast as the “utility ethnic,” a role she found almost impossible to elude. Here, for the first time, Rita reflects on her struggles to break through Hollywood’s racial and sexual barriers. She explores the wounded little girl behind the glamorous façade—and what it took to find her place in the world. She talks candidly about her relationship with Elvis Presley, her encounters with Howard Hughes, and the passionate romance with Marlon Brando that drove her to attempt suicide. And she shares the illusiveness of a “perfect” marriage and the incomparable joys of motherhood. Infused with Rita Moreno’s quick wit and deep insight, this memoir is the dazzling portrait of a stage and screen star who longed to become who she really is—and triumphed. Rita Moreno is one of the few artists to win an Emmy, a Grammy, an Oscar, and a Tony. She has also received a Golden Globe Award and a National Medal of Honor. She recently concluded a sold-out run of her one-woman show, Life Without Makeup, at the Berkeley Repertory Theater in Berkeley, California, and regularly appears in the television show, Happily Divorced. It's that wonderful time of the year, when the Book Expo America BEA, is almost upon us. 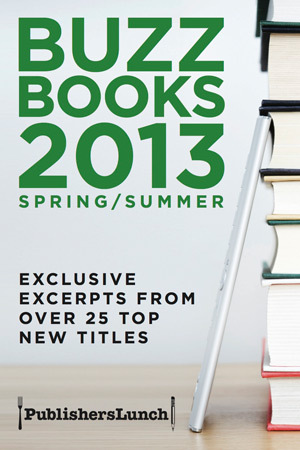 In accordance this little sampler offers readers a teaser of this year's hottest releases. Start reading exclusive pre-publication excerpts right now from 28 top spring and summer titles, including many featured at the American Booksellers Association's Winter Institute. Enjoy new work from Michael Pollan, Chip and Dan Heath, Meg Wolitzer, Kate Atkinson, Joe Hill, Sarah Dessen and more in this free ebook. Sample hot debuts, nonfiction from bestselling authors, breakout books from seasoned novelists, and some great young adult literature. Also available in the iBooks store, or get the epub here. Last week, I traveled to Copenhagen, Denmark, for a conference and while I didn't have much time to enjoy the city fully, I have to say the city left an indelible impression on me. Of all the countries that I have been to, I found Denmark, to be most charming and and welcoming. It wasn't as cold as I thought it would've have been. In fact, I came home to snow and frost, where I left Denmark, sunny and ready for spring. Most of the tourist spots like the Tivoli Gardens, where Walt Disney took inspiration from, were closed for the season but I barely had time to do any sightseeing so I missed the Little Mermain statue but did see the statue of Hans Christian Anderson at a private reception in the Copenhagen City Hall. One of the most amazing things was the sight of large bodies of water, even ocean completely frozen over. The other was the Øresund Bridge, which connects Sweden and Denmark, via a tunnel and an bridge. The bridge rises up mid-straight from an underwater tunnel connecting to Denmark and from the air is just a remarkably breathtaking thing to see - it looks like it is rising out of nothingness. I managed to get to the Strøget, the car-free shopping area in the heart of the city but not till late evening and almost all the shops were closing. Although I missed going to the stores I really wanted to go to like the Ilum Bolighus, Notre Dame, and others, I did have a chance to go to the Ilum and Magasin where I bought chocolates, pastries, and a few pieces of Royal Copenhagen porcelain for my mom and boyfriend's mom. Luckily, there were tons of shops in the airport and I managed to pick up souvenirs there as well. If you're not a fan of fishy foods, you might not enjoy the food, but I found the herring, fish, and hearty stews and cheeses to be really comforting. Another thing that was really cool was the graffiti hall of fame, near the H.C. Ørsted power plant, which could possibly be the longest continues street art piece in the world. I wrote more about that experience here, with photos. 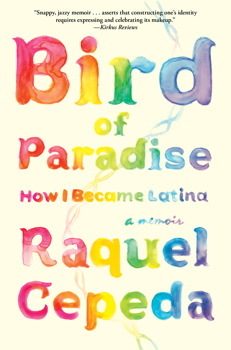 Here's your chance to win 1 of 3 signed copies of Bird of Paradise: How I Became Latina by Raquel Cepeda. Raquel and her publisher were gracious enough to offer a few copies and will be personally filling us in on the back story of the book in a week or two. In 2009, when Raquel Cepeda almost lost her estranged father to heart disease, she was terrified she’d never know the truth about her ancestry. Every time she looked in the mirror, Cepeda saw a mystery—a tapestry of races and ethnicities that came together in an ambiguous mix. With time running out, she decided to embark on an archaeological dig of sorts by using the science of ancestral DNA testing to excavate everything she could about her genetic history. Digging through memories long buried, she embarks upon a journey not only into her ancestry but also into her own history. Born in Harlem to Dominican parents, she was sent to live with her maternal grandparents in the Paraíso (Paradise) district in Santo Domingo while still a baby. It proved to be an idyllic reprieve in her otherwise fraught childhood. Paraíso came to mean family, home, belonging. When Cepeda returned to the US, she discovered her family constellation had changed. Her mother had a new, abusive boyfriend, who relocated the family to San Francisco. When that relationship fell apart, Cepeda found herself back in New York City with her father and European stepmother: attending tennis lessons and Catholic schools; fighting vicious battles wih her father, who discouraged her from expressing the Dominican part of her hyphenated identity; and immersed in the ’80s hip-hop culture of uptown Manhattan. It was in these streets, through the prism of hip-hop and the sometimes loving embrace of her community, that Cepeda constructed her own identity. Years later, when Cepeda had become a successful journalist and documentary filmmaker, the strands of her DNA would take her further, across the globe and into history. Who were her ancestors? How did they—and she—become Latina? Her journey, as the most unforgettable ones often do, would lead her to places she hadn’t expected to go. With a vibrant lyrical prose and fierce honesty, Cepeda parses concepts of race, identity, and ancestral DNA among Latinos by using her own Dominican-American story as one example, and in the process arrives at some sort of peace with her father. 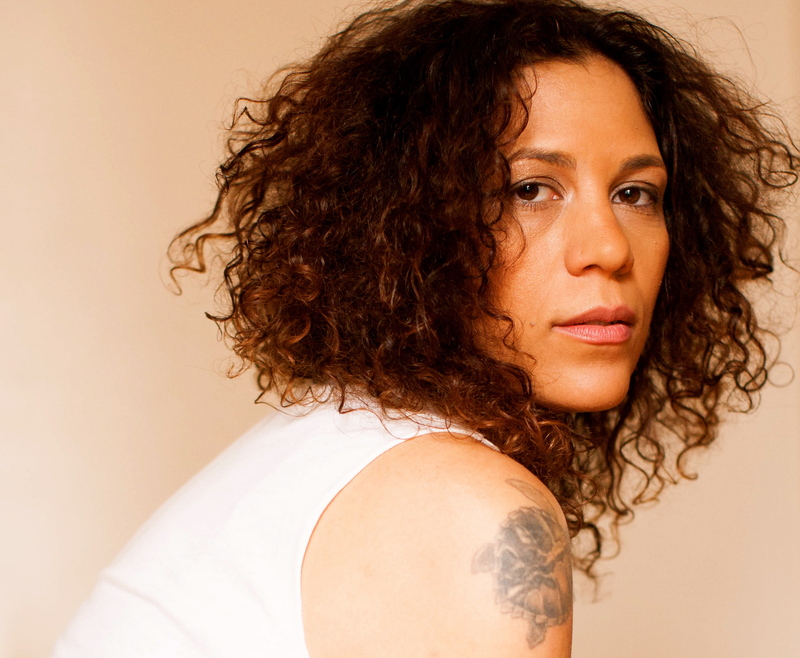 Raquel Cepeda is an award-winning journalist, cultural activist, and documentary filmmaker. A former magazine editor, her byline has appeared in The Village Voice, CNN.com, the Associated Press, and many others. Cepeda directed and produced Bling: A Planet Rock, the critically acclaimed documentary about American hip-hop culture’s obsession with diamonds. She lives with her husband, a writer and TV producer, daughter, and son in her beloved New York City.